Here is an example of an augmented reality feature that Guru designed in tandem with the San Diego Museum of Art. The feature allows visitors to explore, investigate, and dive deeper into the preservation of a centuries-old landmark, the Baptistery of San Giovanni–in the process making a startling discovery. In our AR feature, visitors can not only explore a 3D model of the baptistery, they can also probe the ground beneath the historical site. Using the investigate button and slider bars as forensic tools, visitors become an active part of uncovering new knowledge and learn about history at the same time. Watch the video below to see a demo! 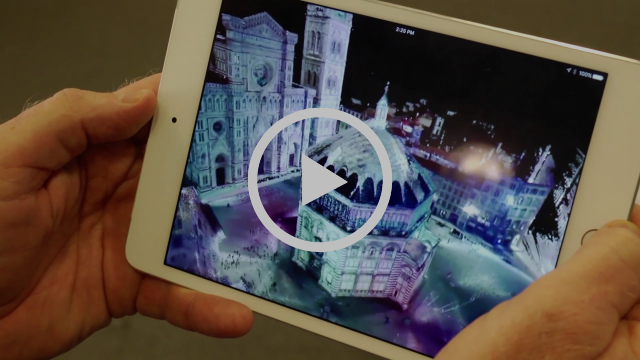 If you haven’t had time to check out our augmented reality before, this feature about the Baptistery of San Giovanni is one of our favorites.